This is limited to 150 copies - 50 in each language, so place your order quickly! The book has been produced in a large paperback format using high quality 150gsm paper to make the most of the photographic detail. 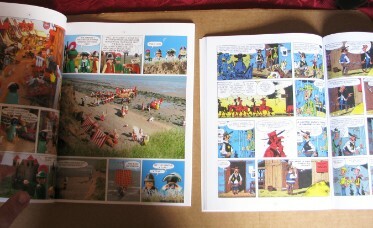 See the photos below comparing the book to a stamdard sized european comic book. In all the picture area is 30% bigger than in e.g. 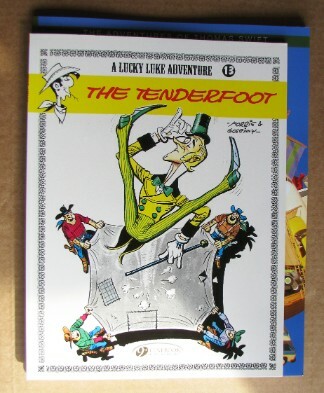 a Tintin or Lucky Luke book. This book's size and quality of the paper make the book more than twice as heavy as comparable comic books. Please select one of the options in the drop down list on the right and 'Add to Cart' along with your book(s) order. If you want to change the shipping option you have selected, go to your Cart and remove it, and then add the shipping option you do want. 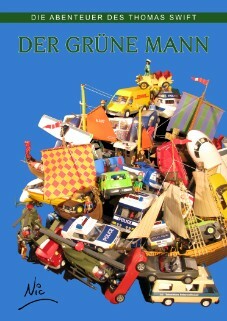 Reprint due in 2012: ebook version still available, and French and German paperbacks. Pay by Credit or Debit Card or PayPal using the buttons on the left in 3 easy steps! Books will be despatched once full payment is received, INCLUDING SHIPPING. Pictures above and below: Comparisons of "The Green Man" paperback with a Cinebook Lucky Luke paperback. For download to PC / Mac / Linux / Android mobile phones / iphones etc. The Ave! 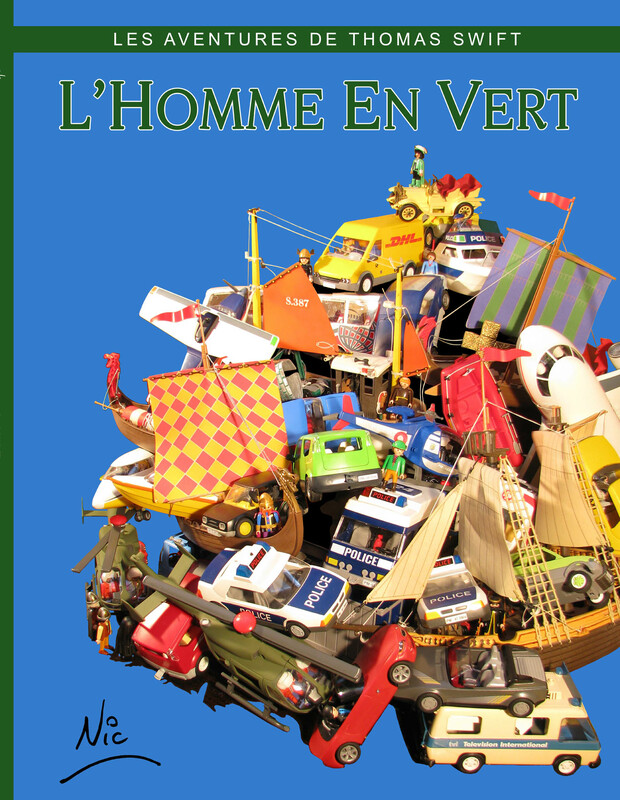 Comics website is available in French, English and Spanish - just click on the appropriate flag at the top right hand corner. Click on picture to see the 4 page preview and to purchase! Be patient - the page takes a while to load.